Studies have proven that good oral health can affect the wellness of your entire body. To stay as healthy as possible, we recommend that you find a Calgary dentist that you can visit regularly. This guide will help you with finding a dentist and dental assistance community programs. The easiest way to find a dentist in Calgary is to search using the keyword “Calgary dentist” on Google maps. This will list all the dentists who have practices in Calgary. You can find dentists close to your neighbourhood, read reviews, and access contact information to call and book an appointment. You can also call the Alberta Dental Association at 1-800-843-3848 or visit them online for more assistance. Alberta Health Services offers the Oral Health – Preventative Dental Services program. This program provides education, consultations, and fluoride applications for children, adults, and seniors. The Alex Community Centre has a Dental Health Bus that visits clients around the city, as well as a Dental Access Clinic. 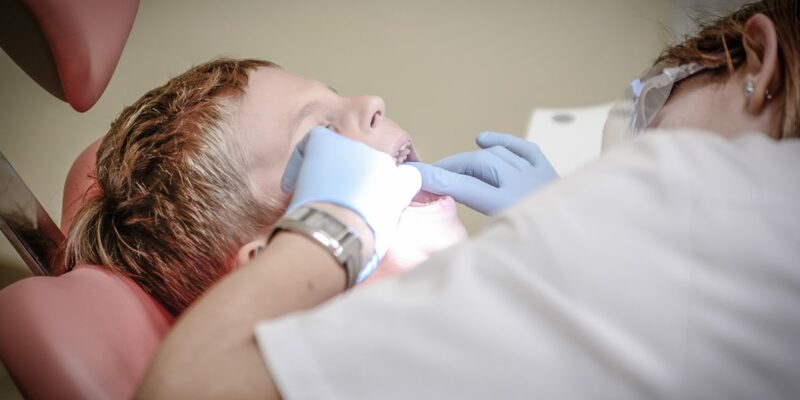 These services provide free dental care for low-income children and youth ages 6-24 (such as screenings, referrals, scaling/polish/fluoride, and education). You can contact the Dental Health Bus at 403-615-9052 and the Dental Access Clinic at 403-520-6270. The Alberta Adult Health Benefit Plan and Alberta Child Health Benefit Plan both have dental-related coverage for low-income families and individuals. You can read our full article on these plans in our guide section by clicking here. The SAIT Dental Clinic offers x-rays, polishing, and scaling at a low-cost while providing Dental Assisting students with practical experience. This can be helpful if you are having difficulties finding a family dentist, or need low-cost dental service. Thanks to Colyn deGraaff and Michelle Macdonald for help with this guide. If you want to suggest a correction to this guide, or want to submit one of your own, please contact us.